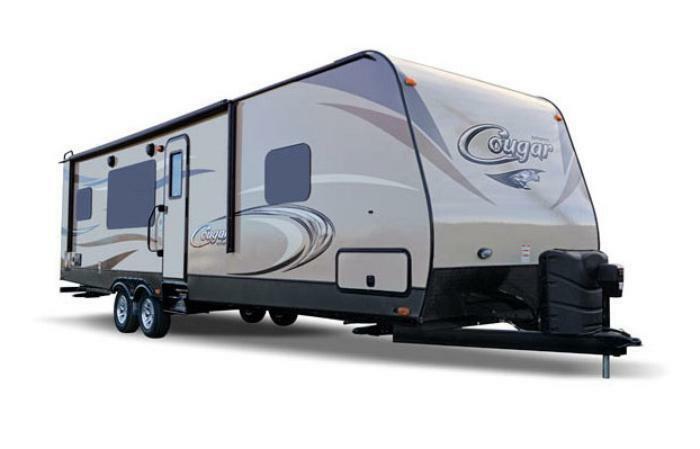 Keystone RV Company is recalling 43 model year 2017 Cougar recreational trailers, models 326RDS, 327RKL, 333MKS, 336BHS and 359MBI. The recalled vehicles were built with a manual-resetting 12 volt circuit breaker, which cannot be used in close proximity to the liquid propane storage. If the breaker sparks when it is being manually reset, it can increase the risk of a fire. Keystone will notify owners, and dealers will inspect the trailers and replace the breaker with one that automatically resets, as necessary, free of charge. The recall was expected to begin April 7, 2017. Owners may contact Keystone customer service at 1-866-425-4369. Keystone's number for this recall is 17-282.